"I remember first thinking that one might be afraid out there, and then thinking how glad I was that I was not; then, all at once, I was afraid, though I did not know of what." 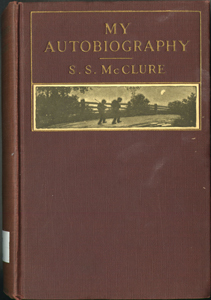 First serialized in eight installments in McClure's Magazine from October 1913 to May 1914. Published by Frederick A. Stokes Company in September 1914. Published by John Murray in October 1914. What Happens to Criticism When the Artist Becomes an Icon?